April 10, 2017 — Black Label Trading Company is pleased to announce they are shipping Bishops Blend vintage 2017 to select retailers this week. “It’s great to get Bishops Blend back in the market. This is a very special cigar. It is a representation of how I have grown as a cigar maker. I’m happy that the time and dedication that went into creating this blend has translated to our customers and made it one of our most sought after cigars. The 2017 Bishops Blend has an extremely rich and sophisticated profile. It is a bold cigar with exceptional balance and complexity. Subtle spice is combined with earth, bitter sweet chocolate and anise. The smoke is creamy and dense with a long rich finish,” said James Brown, creator of BLTC and partner at Fabrica Oveja Negra. 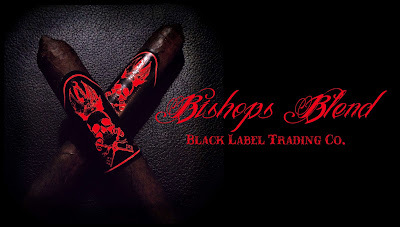 BISHOPS BLEND will be available in limited quantities at select retailers.